This is a two-year study being conducted by Saint Louis University with support from Missouri Department of Conservation in St. Louis' 23rd Ward and Holly Hills neighborhoods. Figure 1. Project hypothesis. Solid lines show known driving factors and dashed lines show information the project team will provide. 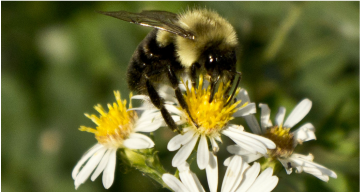 With Information about City-Wide Bee Diversity we will host Educational Bee Conservation Workshops to inform your Lawn-care & Planting Decisions. We have seeds, resources, yard signs, and access to experts to help. 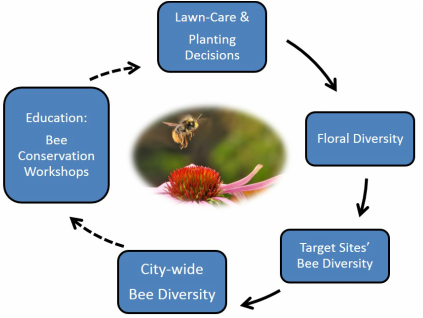 Lawn-care & Planting Decisions increase Floral Diversity which increases Bee Diversity of Target Sites which increases City-wide Diversity. ​1 in every 3 bites of food we eat is pollinated by a bee. Bees are declining globally due to a combination of factors. However, in the midst of a pollinator health crisis, scientists are finding surprisingly high numbers of bee species in cities that are absent in nearby rural lands. Our team of faculty and students have been sampling 30 sites within St. Louis for the past 4 years. We have found that St. Louis has ~166 species of native and wild bees, including the well-known and loved European Honeybee. 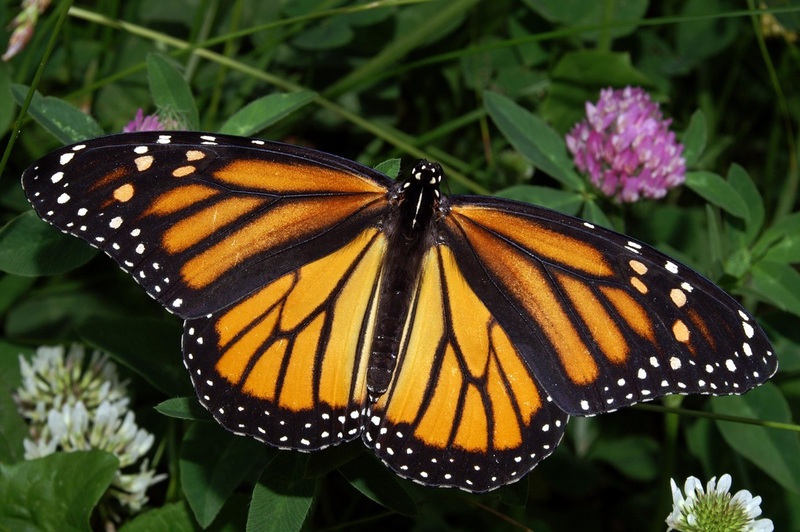 The key contributor to pollinator health is floral resources (flower nectar and pollen). To improve urban bee species health and diversity is easy: Plant more flowers! Because most bees are tiny and require little habitat, this is an environmental problem where one person can make a difference. We are using long-term bee sampling data and science communication to explore: Can communities plant our way out of a pollinator health crisis? Encouraging residents in two St. Louis neighborhoods to increase the number and variety of flowers in their yards, public places, and commercial properties to help urban bees. We are sampling bees weekly at the sites to monitor any measurable increases in bee species diversity and abundance (metrics of bee health) due to increased bee habitat. These 2 neighborhoods: were selected as project sites because they have the lowest numbers of unique bee species of any of our 30 sites. This means they are well-positioned to have the greatest measurable increases in species due to voluntary management changes. 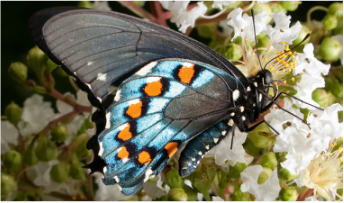 The best predictor of bee and butterfly health (abundance & diversity) is number of flowers. Early blooming flowers are critical for determining how many offspring native bees have per year. Plant Lists for St. Louis- Show these lists to your garden center staff. Missouri Botanical Garden -MOBOT Plant Finder - to see what the recommended plants look like. 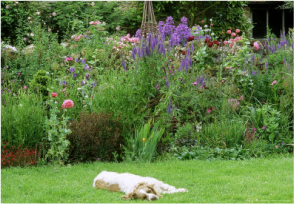 In addition to planting flowers, studies have shown that mowing your grass less frequently increases the number of bees visiting your yards flowers found in older grass mixes. We have yard signs available (free) for those who want to communicate to their neighbors that they are mowing less this year for the health of bees and to help with our study. Tell us if you want a sign in the comment box below. 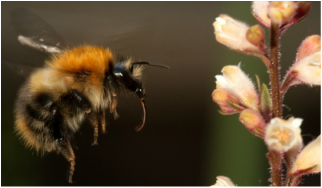 A majority of bees are ground-nesting bees. They require bare un-mulched soil to reproduce offspring. ​Gardens with less mulched area had more diverse species of bees. 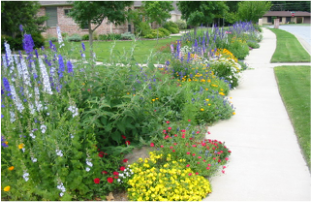 Leave some bare ground near plants you want pollinated. Leave bare ground in areas that get little foot traffic. 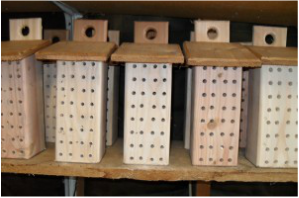 For those who want to create nesting habitat for cavity nesting bees, making "bee condos" is simple. Drill holes into a block of wood, fallen log, or dead tree stump. Line the hole with paper. See this 4 min. video for more tips. Our favorite videos: Building a bee condo. To see a Bee Condo in action. 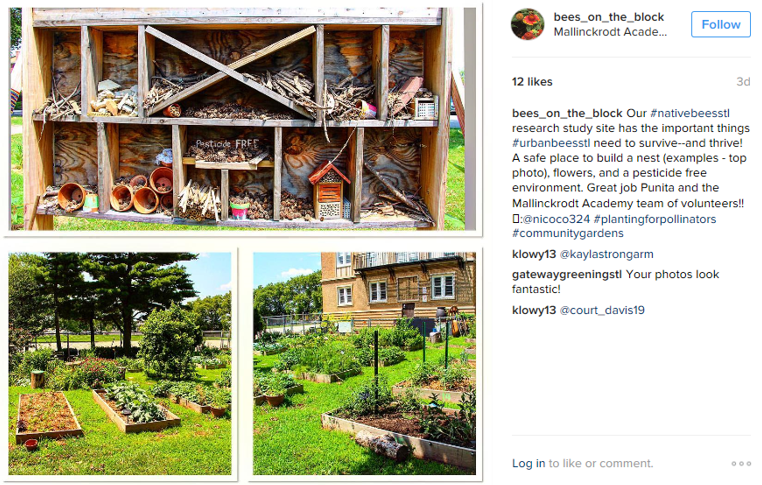 Send us your pics of bee houses, bee condos, etc. Stinging: All bees do not sting—less than half of all bee species sting. Of those, only females have stingers and among those, not all have a hive or colony to defend. Bees will always be more interested in pollinating flowers than bothering to sting you. If a small garden smack in the middle of Chicago can support such a rare species indicative of high-quality habitat, imagine the conservation potential if everyone had at least one patch of wildflowers blooming in their yard. If you live or work within the circles, we need your help. Send us your yard pictures! Your Ward 23 pictures here. Pollinator-friendly Yards of Holly Hills. Your Holly Hills pictures here. GrowerTalks Magazine. "The city as a refuge for insect pollinators"18 November 2016.